Econram Systems carries a full line of current MAXTOR Hardware as well as discontinued EOL hardware. Please call us at toll free 877-500-3266 and speak with a MAXTOR Sales Rep regarding the 6E030L0-510213 or REQUEST A QUOTE. This MAXTOR 6E030L0-510213 hard disk drive is a simple and easy upgrade to your existing MAXTOR Server. Our industry leading 12 month warranty and support also guarantees the life cycle at a lower cost. 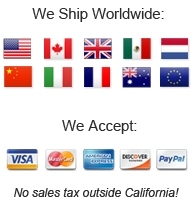 We are a trusted MAXTOR Reseller of the Highest Quality Computer Hardware, like the 6E030L0-510213 , to the U.S. Government, Military, Universities & Fortune 500 Enterprises. Econram offers MAXTOR 6E030L0-510213 Warranty, Maintenance and Hardware Support!